Following an extensive regional search and selection process The Trustees of the Historical Society of Rockland County are pleased to announce the appointment of Susan Curry Deeks as Executive Director. Ms. Deeks brings to HSRC many years of experience as a leader in the museum sector, as well as in the nonprofit and for-profit publishing industry. As Executive Director, she will oversee HSRC’s planning and programs to ensure that the Society functions as a high-profile, visitor-centered, public service-oriented organization. “We are excited to begin working with Susan Deeks as she takes the lead of the County’s Historical Society. Our mission is broad and challenging, and we feel confident that she has the energy and creativity to propel the HSRC into the future,” says Clare Bowes Sheridan, president of the HSRC’s Board of Trustees. Ms. Deeks comes to the HSRC with more than two decades of experience developing compelling programming for historic sites and museums. Most recently, she was Assistant Director at the Hermitage Museum in Bergen County, where she was responsible for setting and meeting strategic goals, managing daily operations, and conceiving and implementing new ways to enhance the museum’s relevance to, and visibility in, the community. Ms. Deeks has also developed educational programs and enhanced interpretive materials for other state-owned historic sites in New Jersey using traditional and multimedia formats. She has been a member of the American Association for State and Local History; the Association of Living History, Farm, and Agricultural Museums; the Greater Hudson Heritage Network; and the Mid-Atlantic Association of Museums, among other industry associations. 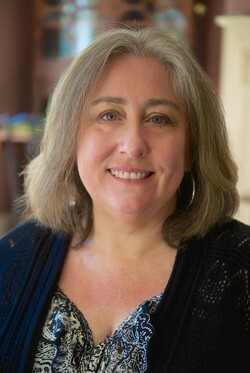 A graduate of the State University of New York at Binghamton, Ms. Deeks holds a master’s degree in history from William Paterson University, with a specialization in American studies. She is also a native of the Lower Hudson Valley, having grown up in Orangetown in the 1970s. “Joining the HSRC staff is like coming home, and I look forward to sharing my love of exploring connections between local and global history in the county where that passion began,” she says. Ms. Deeks started her duties on September 18, 2013, in time to help celebrate Rockland History Month in October. The HSRC Board invites the public to meet Ms. Deeks during the annual “Fall Family Festival” on the grounds of the Jacob Blauvelt House, 20 Zukor Road, New City, on Saturday, October 6, 12–4:00 p.m. The festival features demonstrations of quilting, lace making, open-hearth cooking; old-time games and crafts; music by the Rockland string band Ramapo Fault; and pony rides for children by Nickel-O Farms (2–4 pm). Admission is $7 for adults and $3 for HSRC members, seniors, and children age 3–12 (children under 3 are free). Parking is free. Because this is an outdoor festival, it will be canceled in the event of rain.